¡Viva Mexico! ¡Viva Mexico! ¡Viva Mexico! 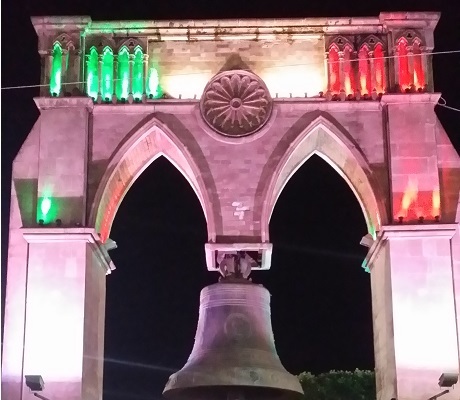 Listen closely this Friday night and you may hear a chant emanating from our neighbors to the south as Mexico prepares to celebrate their national Independence Day. For Americans, it’s important not to confuse this holiday with the celebrations on Cinco de Mayo. Throughout much of the U.S., May 5th is marked with celebrations including Mexican beer, Tequila, Mariachi bands and traditional Mexican food. This very commercialized day actually marks a small victory the Mexican army won over French forces at the Battle of Puebla in 1867, nearly fifty years after Mexico was officially declared an independent nation. While beer and liquor companies have turned Cinco de Mayo celebrations into something of a national drinking holiday, its origins stem from Chicano activists from the 1960’s who were determined to raise awareness of Mexican culture. Unfortunately, the day has been misconstrued by many Americans as Mexican Independence Day. The actual Dia de Independencia is on the 16th of September. The Cry of Delores, or El Grito as it is commonly referred to throughout Mexico, takes place the night before and is the official beginning of Independence Day celebrations.